Hi, This is good information. However, the implications of giving the manage permission to the subscriber role sounds scary. I tried it on latest 1.10 release. Granting a manage permission gives a lot of privileges to a subscriber like access to all the running applications such as store and ability to stop/start the application, ability to deploy other applications, lots of other system configs. Is there any other way to achieve this? If the management console admin needs to do the same, is there a way to do it? As a admin I don’t see all my subscriber’s applications under service providers section. Hi Nikesh, Thank you for taking time to make a comment on my post. Would you tell me what your requirement is so that I can tell you what solutions are possible with WSO2 API Manager. 1. As an API provider, is there a way I can restrict my API(s) to specific oauth grant type(s)? I know while provisioning an API I can specify application or application user or both but is there a way to control it at a more granular level i.e. specific grant type. 2. As an API subscriber / app developer / service provider, how can I do what you described above without requiring an Admin to provide the complete Manage permissions? Frankly, in real world, an Admin won’t provide such a permission to a subscriber role. 3. 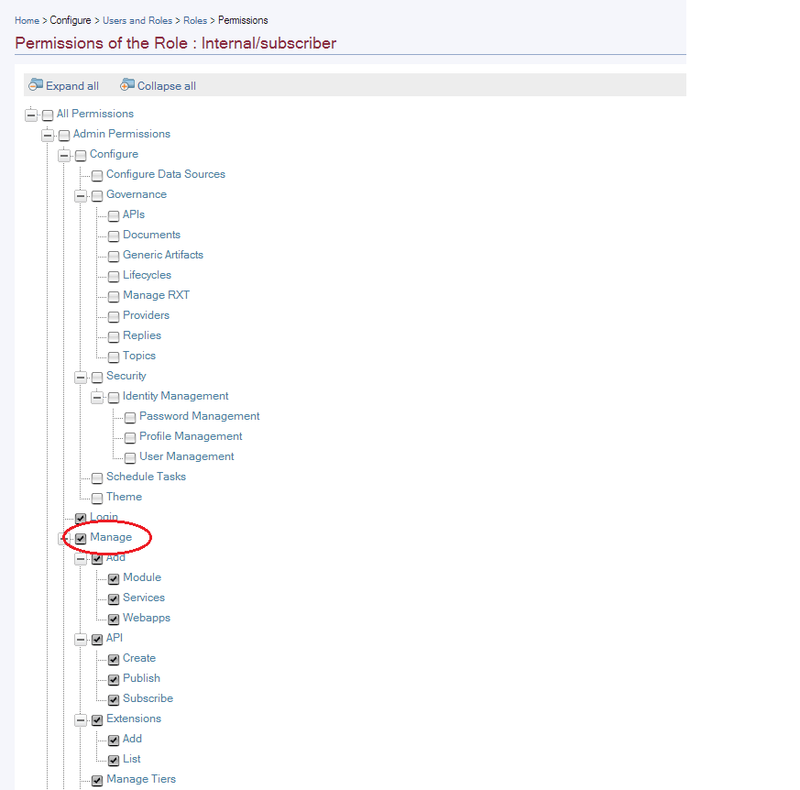 As an Admin, how can I do what you described above on behalf of a specific subscriber?